Buprenorphine withdrawal remedies can be used to ease your symptoms so that you can start feeling better right away. Buprenorphine withdrawal is a horrific experience. I went through buprenorphine withdrawal several times in the past, and each time I did I was always frantically trying to obtain withdrawal remedies so I wouldn’t be in such agony. I have never been prescribed buprenorphine from a doctor. I always bought Suboxone (buprenorphine & naloxone) from my drug dealer because he gave me a good deal, but the only problem was that sometimes he would run out! After three days without the medication, I would start to experience some unbearable symptoms. Buprenorphine withdrawal remedies allowed me to feel good enough so that I could still go to work. I’ve been clean for over six years now, and I’ve since made it my Life’s Purpose and mission to help others recover from the opiate addiction plague that has spread throughout this world. During my time in recovery, I also became a Certified Advanced Food-Based Healing Instructor that specializes in supplements and nutrition for opiate withdrawal and recovery. I have a deep inner-knowledge of specific foods, vitamins, herbs, amino acids, superfoods, minerals, and other natural methods for easing buprenorphine withdrawal symptoms. The following list of 34 buprenorphine withdrawal remedies will include these, along with natural drugs, prescription medications, over-the-counter medications, and home remedies. The most powerful buprenorphine withdrawal remedies are prescription medications. These will offer the most strength in easing symptoms, however, they are often difficult to come by, potentially dangerous, and you’re still treating drug problems with more drugs. Nevertheless, these do work well, and under the supervision of a doctor for treating the worst symptoms for a few days, I believe they can be very beneficial. 1. Clonidine – A blood pressure medication that is often a doctor’s first choice for treating buprenorphine withdrawal symptoms. It helps with the goosebumps and chills, it can definitely take the edge off, and many people have used it to minimize their symptoms. When I used clonidine several years ago, it worked well but made my mouth super dry, which is a common side-effect. Clonidine can be habit forming, and if used should only be taken for a short period of time, two weeks maximum. 2. 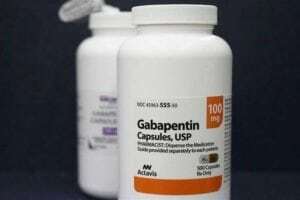 Gabapentin (Neurontin) – An anti-convulsant and analgesic developed to treat epilepsy, which is also used to relieve neuropathic pain. In a study from 2011, gabapentin with a dose of 1600 mg per day was found to be effective in reducing some of the withdrawal symptoms in patients addicted to opiates undergoing buprenorphine-assisted detoxification. 3. Benzodiazepines – Medications used for anxiety such as Valium, Xanax, Ativan, Klonopin, and Librium. Out of all the buprenorphine withdrawal remedies, I probably got the most relief from my symptoms after taking Xanax. Having 3-4 days worth of these definitely helped me relax and sleep better. Use caution because these can be habit-forming. I don’t recommend treating drug problems with other drugs unless it is absolutely necessary. Even then they should only be used for a few days then stopped. In detox facilities, they will often use benzodiazepines in combination with clonidine for severe buprenorphine withdrawal. 4. Loperamide HCL (Imodium AD) – One of the best buprenorphine withdrawal remedies due to its ability to stop diarrhea, ease gastrointestinal upset, and allow you to have somewhat of an appetite. It acts as a mu-opioid receptor agonist in the myenteric plexus of the large intestine, though it does not affect the central nervous system. This is just a fancy way of saying that it acts just like an opiate on your stomach, but it doesn’t get you high. 5. Topical Pain Relievers – Products like Bengay and Icy Hot can be used as buprenorphine withdrawal remedies. Rubbing these ointments on sore and aching limbs can relieve pain and Restless Leg Syndrome (RLS). 6. Nonsteroidal Anti-Inflammatory Drugs (NSAIDS) – This refers to buprenorphine withdrawal remedies such as Advil, Aleeve, and Tylenol, which are over-the-counter pain relievers. They can be used to help ease aching muscles and limbs. To be perfectly honest, you’re not going to get much help from these, though they will be able to reduce a fraction of your pain, and every little bit helps. 8. Marijuana – In a study published in 2005, patients reported cannabis to be effective at treating opiate withdrawal symptoms, though they found benzodiazepines such as Valium to be more effective. Another study that was published in The American Journal of Addictions found that out of 91 patients seeking buprenorphine treatment, the ones that used cannabis had less opiate withdrawal symptoms. I met a man when I lived in New York who stated that he got over his 400 mg per day OxyContin habit with cannabis alone, experiencing only mild symptoms. 9. 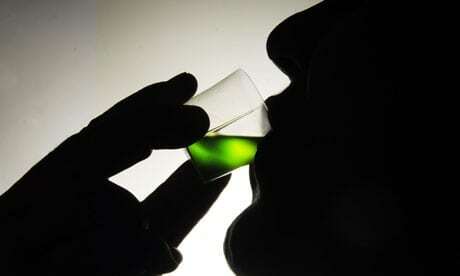 Kratom – One of the least-known buprenorphine withdrawal remedies, kratom is able to ease symptoms especially well. This beautiful tree native to South Asia (member of the coffee family) is not regulated by the Drug Enforcement Agency in the United States (making it legal), has mu-opioid agonist qualities (binds to opioid receptors), and can without a doubt help anyone ease their buprenorphine withdrawal symptoms naturally. Kratom is NOT an opiate. Kratom, simply put, is an opioid agonist. This is just a fancy term meaning that it mimics the effects of opioid drugs such as heroin, morphine, hydrocodone, oxycodone etc. Mitragynine, the major alkaloid in kratom, is a partial opioid agonist producing similar effects to morphine. An interesting minor alkaloid of kratom, 7-hydroxymitragynine, has been reported to be more potent than morphine. Both kratom alkaloids activate supraspinal mu- and delta- opioid receptors, which is the main reason the plant alleviates buprenorphine withdrawal symptoms so well. 10. Mucuna Pruriens (Velvet Bean) – A tropical legume that is native to Africa and Asia. It contains levodopa (L-dopa), which converts to the chemical dopamine in the brain. Dopamine is a neurotransmitter that promotes enjoyment and interest in life. It also increases mental focus and feelings of pleasure. Addiction destroys the pleasure/reward center in the brain. That’s one of the reasons the psychological terror of opiate withdrawal is so intense. 11. DL-Phenylalanine (DLPA) – This is by far one of my favorite buprenorphine withdrawal remedies. DLPA is a supplement that contains both the D- and L- forms of the amino acid phenylalanine. The L- form comes from protein-rich foods and increases dopamine and norepinephrine. The D- form is made synthetically in laboratories and causes an increase in endorphins, which are your natural painkillers. DLPA is great for buprenorphine withdrawal depression, anxiety, and fatigue. Furthermore, it’s the most important supplement to take for the next few months after getting off buprenorphine because of its ability to increase dopamine and endorphins. It’s truly a buprenorphine recovery all-start supplement. 12. L-Tyrosine – Another amino acid supplement, this buprenorphine withdrawal remedy is very similar to DLPA. It helps your body produce dopamine, norepinephrine, and epinephrine, so it’s extremely beneficial for buprenorphine withdrawal depression, fatigue, and anxiety. I much prefer DLPA, however, due to its ability to increase endorphins as well as these other neurotransmitters. 13. Passion Flower – This powerful herb is known for the treatment of insomnia, anxiety, gastrointestinal upset related to anxiety, and relieving opiate withdrawal symptoms. It is an excellent natural sedative that promotes calmness and relaxation. Passion flower works by increasing levels of a chemical called gamma-aminobutyric acid (GABA) in the brain. GABA is your brain’s natural Valium. 14. Ginseng – The name ginseng refers to any of 11 different species of slow-growing perennial plants with fleshy roots. This powerful buprenorphine withdrawal remedy is useful for treating fatigue and acts as a natural stimulant and balances all body systems that are out of balance. This is due to its adaptogenic properties. Adaptogens are a class of plants/herbs that, when administered, result in stabilization of physiological functions and facilitation of homeostasis. 15. Valerian Root – Another one of my favorite buprenorphine withdrawal remedies, valerian is an herb that is native to Europe and parts of Asia, which has also been introduced to North America. In the brain, this buprenorphine withdrawal remedy is thought to bind to GABA receptors. By blocking some nerve impulses from reaching the brain, the herb is able to shorten the amount of time it takes to fall asleep, as well as improve the quality of sleep that results. Valerian is also believed to lessen anxiety because in blocking brain receptors for the neurotransmitter GABA, it also inhibits nerve impulses and stress-related messages from reaching the brain. 16. Ginger – A root that is used as a spice and also for its therapeutic properties, I put it on the buprenorphine withdrawal remedies list due to its natural ability to ease nausea and stomach aches. In Peru, ginger is sliced in hot water as a remedy for belly aches. It’s used as a folk medicine remedy for upset stomach, nausea, and muscle soreness. 17. GABA – A chemical made in the brain which also comes in supplement form. It’s on this buprenorphine withdrawal remedies list because it can help relieve anxiety, improve mood, relieve pain, and promote sleep. GABA is the brain’s natural Valium. Can you see why this is on my buprenorphine withdrawal remedies list? 18. Melatonin – A hormone made by the pineal gland in the brain, this buprenorphine withdrawal remedy helps regulate sleep and wake cycles. Your body has it’s own natural clock and controls how much melatonin is produced. Typically, melatonin levels start rising in the evening, stay high during the night, then decrease sometime in the early morning. To get buprenorphine withdrawal remedies benefits, try eating the two highest food sources of melatonin: cherries and walnuts. 19. 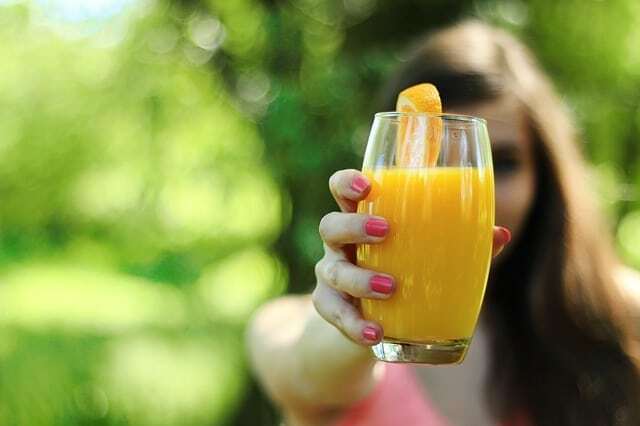 Vitamin C – An antioxidant that was shown in a study to ameliorate the withdrawal symptoms of heroin addicts when taken at doses of 300 mg/kg b.w/day, supplemented with vitamin E (5 mg/kg b.w/day). 20. 5-HTP (5-hydroxytryptophan) – A precursor to serotonin, a neurotransmitter that helps you feel emotionally relaxed. It is also the precursor for melatonin, the hormone involved in sleep patterns of the human body. It can improve mood, help you sleep, and instill feelings of relaxation and calmness. 21. Phenibut – A derivative of the natural neurotransmitter, GABA. GABA has inhibitory qualities which can produce tranquilizing and anxiolytic effects. The benefits of phenibut often relate to calmness and a reduction in anxiety. Phenibut may also help to reduce stress and encourage a better sleep, making it one of the most powerful natural buprenorphine withdrawal remedies for taking at night before bed. 22. L-Theanine – An amino acid abundant in green tea which has been shown to have a direct influence on brain activity, such as reducing stress. It has the ability to relax the mind without causing drowsiness. 23. Epsom Salt Bath – buprenorphine withdrawal remedies can even be found in the tub. Epsom salt is a naturally occurring pure mineral compound consisting of sulfate and magnesium. Research also shows that magnesium increases energy and stamina by promoting ATP (adenosine triphosphate) production. It helps to produce serotonin, the chemical in the brain that helps you feel emotionally relaxed. Stress drains the body of magnesium, so it’s important to replenish it while going through buprenorphine withdrawal. 24. Movies – These are decent buprenorphine withdrawal remedies. I prefer comedies because when it comes to powerful medicine, laughter ranks at the top of my list. A hearty laugh relaxes your entire body and triggers the release of endorphins, the natural feel-good chemicals that can reduce pain. Another genre I suggest is inspirational movies. They can help you manifest the inner strength and courage needed to get past the first few days of buprenorphine withdrawal. 25. Music – It can do wonders to help buprenorphine withdrawal symptoms. 26. Dark Chocolate – Eating dark chocolate can help your brain produce endorphins are other feel-good chemicals to elevate mood. To add this to your buprenorphine withdrawal remedies shopping list, make sure to get dark chocolate with at least 85% cacao. 27. Water – Buprenorphine withdrawal remedies work best when you stay hydrated. Drink plenty of water throughout the day during buprenorphine withdrawal. (Coconut water is the best for hydration). 28. Gatorade – Helps you replenish electrolytes. Especially beneficial if you have diarrhea or if you’re vomiting. 29. Ginger Ale – Can help to ease stomach discomfort during buprenorphine withdrawal. 30. Crackers – Easy food to get and keep down, fast energy, salty crackers go well with the Gatorade. 31. Cool/Dark/Quiet Room to Sleep in – This makes falling and staying asleep much easier. Try to get to bed before 12 am to have the best chance at getting some sleep during buprenorphine withdrawal. 32. Exercise – Swimming, walking, jogging, lifting weights, and other types of exercise can help you produce endorphins, which are your bodies natural morphine. This is one of the most powerful buprenorphine withdrawal remedies and it’s totally free. I know it’s not fun to exercise during withdrawal, but if you can manage to even go for two long walks per day it will help a great deal. 33. Sunshine – I know the last thing you want to do during buprenorphine withdrawal is going outside and face the world. However, if you can manage to do so, spending some time outdoors on a warm sunny day can help to elevate your mood, especially if you exercise outdoors. Opiate withdrawal Formulas are natural supplements that are specifically designed to ease symptoms of withdrawal from buprenorphine, oxycodone, hydrocodone, and other opioid drugs. If learning about all of the buprenorphine withdrawal remedies thus far has been a lot to take in, these withdrawal formulas can make things a lot easier for you. They contain many of the supplements I wrote about in the right combinations and dosages to ease buprenorphine withdrawal symptoms. Click here now to view my best home detox program. If you have any questions about buprenorphine withdrawal remedies, please post them in the comment box below.